When you watch someone walk or run, if they have a tendency to spend more time on one side vs another, that is called "Limb Dominance". It is a key observation in gait, and may indicate a treatable short leg syndrome, that is causing symptoms. 1 Love, love, LOVE your blog! Thankyou for all your pearls - I have learnt lots and lots as a Podiatrist both technically and also in the lesson of never giving up on patients and their problems. 2 You put great emphasis on LLD assessment and treatment. Im always looking for info on this subject. You have put up quite a lot of stuff on this (including the diamond on full-length lifts - thanks!) but Im still slightly confused. In a nut shell can you lay out your structured approach to a new patient when trying to identify if they have a functional or actual LLD. If you have the time...please treat me as a novice! Dear Lawrence, Thank you very much for your kind words. I hope I can explain my thoughts well when I know it will affect many of your patients. I will work off the following outline of my overall approach, the timing can vary from patient to patient. Whether or not the patient has orthotic devices to correct for asymmetrical pronation, the standing exam done looks for differences at iliac crests, greater trochanters, and anterior superior iliac spines. I will now try to explain these points in more detail. When taking a history, limb length diffences have been tied to unilateral complaints (ie achilles tendonitis or plantar fasciitis on one side only), or continual one sided complaints over time (ie right knee pain 1999, right plantar fasciitis 2002, right hip pain 2007, and right achilles pain 2010). It is important to look at these patterns to see if treatment is worth the effort at times. Sometimes, I just point out that this is a potential area to delve into especially if the patient presents with a relatively minor problem (ie 2010 2 week history of right achilles pain). Remember the KISS principle. Gait evaluation is my benchmark for analysis. When you see limb dominance (tendency to shift weight primarily to one side), you could be looking at several possibilities. Limb dominance is fairly easy to observe by watching the head. Does the head spend more time on one side of the body over the another? If so, it is called limb dominance. You could be dealing with a structural LLD, functional LLD, combination of structural and functional LLD ( limb length discrepancy), or a problem in the pelvis or spine (pelvic asymmetry or scoliosis). How is this sorted out? Do the standing examination for limb length discrepancy and look at the height differences between the right and left side. The Anterior Superior Iliac Spines and the Iliac Crests are Pelvic Landmarks and the Greater Trochanters are a Femoral Landmark. Measure the difference by placing lifts under the shorter side until you level each landmark. Understand that you normally get different results at each point, so there will be some art in the introduction of lift therapy, unless you opt for Standing AP Pelvic Xrays. For Example, if you measured 6 mm at the Iliac Crest, 3 mm at the Greater Trochanters and 9 mm at the Anterior Superior Iliac Spines, but all showing the right shorter, you probably have a short right leg of 3 mm or greater. Now, I will also measure the relaxed calcaneal stance position difference between the two sides. 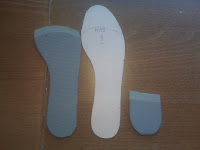 If they have orthotic devices, measure with and without so you can get a feel of the change that the orthotics make. Is it the same as you observe in gait evaluation. It is documented that a greater than 3 degreee difference between the sides means that a functional leg length difference exists. But, that is only one aspect, since there can definitely be asymmetrical pronation without a difference in the heel position. When the standing exam points to a possible structural leg length difference, and your measurements approximate that difference, make the lifts for the short side in 1/8inch increments (ie. 3 lifts if 3/8inch is measured). Try to keep the lifts full length if possible, but they are tapered at the sulcus, and rarely go under the toes. This may require a separate visit to have the lifts made and/or the patient return with athletic shoes. Watch the patient walk and/or run with the lifts you feel will correct out the difference fully (we are limited to around 1/2inch, with part being just in the heel). Does this completely eliminate the limb dominance? Do not worry if the patient feels awkward, since it will take awhile to build up to that total amount. I will normally start with 1/8inch and add another 1/8th every 2 weeks. Start Low and Go Slow is the lift mantra. This is a crucial time for the functional component. If you watched the gait pattern and felt that the patient had asymmetrical pronation (even if one side was normal, and the other overly supinates), then that patient has a functional or combination leg length difference. 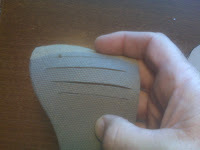 When you use lifts, or orthotics which lift the patient up in their shoes, watch the change in that pattern. By correcting with lifts, does the asymmetry improve, stay the same, or get worse, and how? Does the side that pronates more now pronate less, the same, or more? Does the side that pronates less now pronate less, the same, or more? These are very important observations especially when the patient looks worse. I have had to settle on a lower than ideal lift height when added lifts make the shoe too unstable and either the pronation worse, or produce lateral instablity (over supination). You must watch the patient with every pair of shoes that they put lifts on or into. Recently, when I thought I had mastered this topic (ha ha!!! ), I had 3 patients in a row, that after measuring their limb length difference and deciding on their lifts, looked worse in their limb dominance with those lifts. All 3 of these patients then had AP Standing Pelvic Xrays with shoes and orthotics on documenting that the other side was short. 80% of the time the standing exam is correct and the limb dominance disappears with lifts placed under the short side. Medicine will always attempt to keep us humble. So, I hope this has helped, but I know at least for my sake, I better summarize this thoughts. I think a checklist will help. Does patient need to bring in stable shoes for Gait Exam with lifts? Does the patient have good functioning orthotic devices? 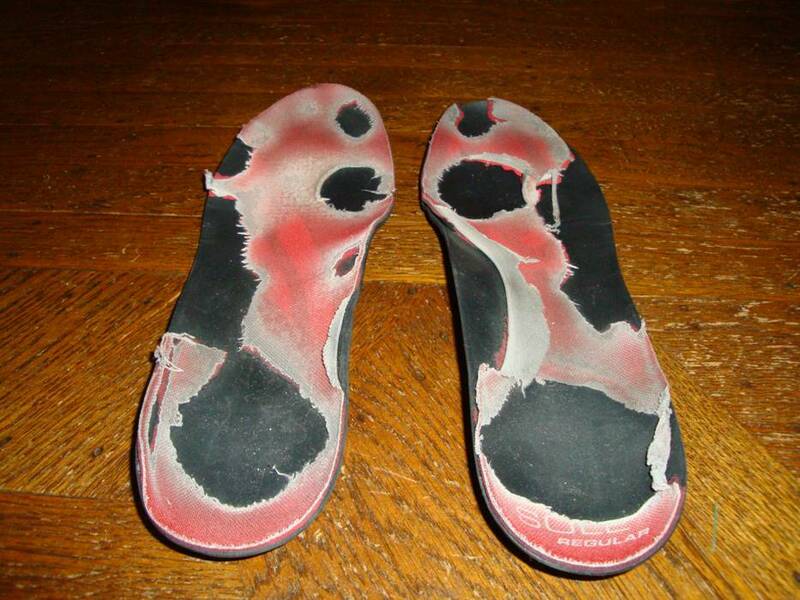 Did the orthotics make a difference in your exam of relaxed heel position? 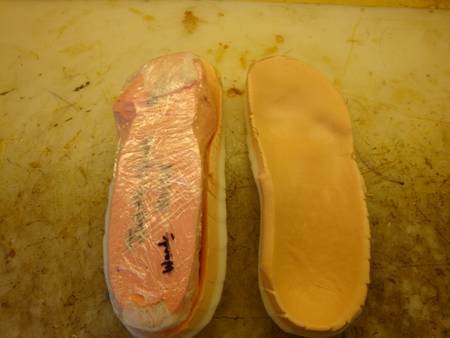 Should the orthotics be redone to better control pronation of one or both sides? Should we consider xray evaluation? Foot strengthening exercises are extremely important for almost everyone. Since we spend our lives in shoes, our feet get weak over time. When you have any injuries, surgery, cast immobilization, or other prolonged health problems, our feet get even weaker. Just when we are trying to get back into shape, the weakest bites us, and some secondary injury develops. We need to stay strong with our feet. We need to develop a home program of 3 or 4 foot exercises that are challenging, somewhat fun, and ones we will do 3 times per week on average. The best time of the day to do foot and ankle strengthening is the last several hours before bed. Therefore, if we fatigue our feet, we have all night to rest them. And by the next morning they will be stronger. I hope you enjoy this challenging exercise. Genu Varum or Valgum have dramatic treatment options including muscle strength and flexibility issues, Orthotic and Shoe issues, activity issues, and bracing issues. Gait evaluation not only serves to identify the problem, but should be used as various treatment modalities are tried to check their effectiveness. For example, foot orthotic devices can be used to help a patient to get straighter knees due to genu valgum. But, gait evaluation can check on the success of your treatment and perhaps objectively suggest further modifications. Several months of physical therapy, Pilates, yoga, body work, ballet, roller skating, etc, can help patients turn their knees outward, but gait evaluation show if the treatment is succeeding. Therefore, use gait evaluation to monitor how well certain treatments or the overall treatment is working to change the patterns of malicious malalignment syndrome or excessive bowleggedness when these gait patterns are causing pain syndromes. These gait findings do not actually tell us what side is the longer side, in fact they are contradictory if we just use generalizations. Generalization #1 tells us that 80% of the time adults are dominant to their longer side. Generalization #2 tells us that increased pronation is on the longer side. Since, these contradict each other, we must measure, but the exam hopefully would have screamed at us to check for short leg syndrome. The above video demonstrates the 3 common iliotibial band stretches I show patients suffering from this common running injury. It is almost rare in other sports, since it is a repetitive stress syndrome where the ilio tibial band rubs over either the greater trochanter of the femur at the hip or the lateral femoral epicondyle on the outside of the knee. Women are more prone for hip IT Band pain, and men more prone for knee IT Band pain. The stretches should be done 2 sets of 30 second count/5 deep breathes, and 5 to 10 times per day. Many runners can feel it coming on (called prodrome symptoms) and can stretch it out before the pain gets too intense. I had one patient who would feel it around 2 miles into a run, and was able to finish the Tahiti Marathon by stopping every 2 miles to stretch out the band. Most of the time however, subsequent stretches gives less time running (diminishing returns). The ethafoam roller can be used each morning and evening to elongate the fibers. Never use the roller over the boney prominences at the hip or knee. If stretching ever increases the pain, stop immediately and consult with your health care provider. You may have bursitis, nerve pain, hip joint pain, or a stress fracture. For normal ilio tibial band tendinitis, the stretching is a very relaxing exercise and the symptoms feel better (at least temporarily). As you review this xray, you will see that the the left hip at the acetabulum (hip joint) is higher than the right. This is the true leg length difference if the foot is in its neutral subtalar position (why it is best to take this xray with stable shoes and stable orthotic devices in the shoes). The symbol marked UPRIGHT means standing and is on the left side. The base of the spine where L5 vertebrae rests on the sacrum, also called the sacral base, drops to the right side. 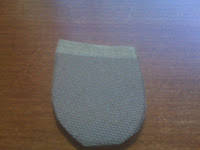 One of the last posts discuss how to measure sacral base unleveling. Many feel that getting a level sacral base is more important than correcting the hip height difference.The highest point on the iliac crest, not even seen on the left since it is higher than the right side, is a summation of the pelvic difference. When you look at many points of the pelvis, comparing right to left, you will see how the left is higher all around. However, one of the major problems we face is one of trying to take xrays only when crucial (due to the radiation). I would love to xray after very change I make, but I must be conservative due to the radiation exposure. With these findings, it is easy to start with 1/8th inch lift (3.3mm) for 2 weeks, another 1/8th inch for 2 weeks, and then 3rd 1/8th inch lift for the final 2 weeks. I start with tie-on shoes that take the full 3/8th of an inch. I would then have the patient wear this amount for two months to get use to them. Some time with a physical therapist to work out the predictable muscle soreness that will ensue would be great during this time. After the 2 months, if there is still limb dominance, still some symptoms, then I would go up another 1/8th to correct for the sacral base (the extra 3 mm the xrays showed). Of course, many stop the correct at lower levels if the symptoms are resolved. Patients can fight you alot during lift therapy since they do want lifts. Who would?? It is important to stay focused, and the xrays really help in this regard. The xrays tell us what is the short side, and by how much. Treatment can be gradual, but complete correction of a short leg is usually obtainable. When performing this examination, get your eyes at the level of your hands, and have your hands or thumbs parallel with the floor. 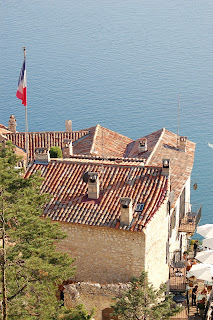 This is Chateau Eza in Eze, France. My wife and I actually stayed here for our anniversary several years ago. 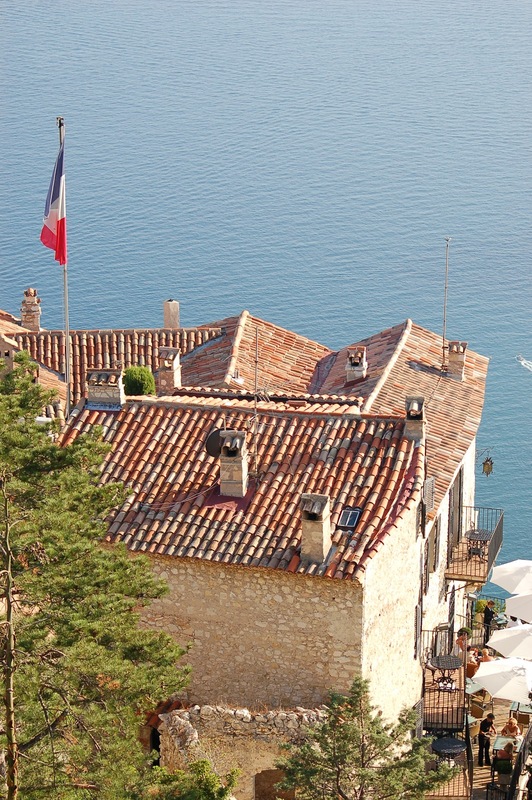 If you love to travel, and have a significant other, this is an unbelievable place perched 4000 feet above the Mediterranean Sea. Gait Evaluation, or the process of watching someone walk or run, is one of the most crucial components to the understanding lower extremity biomechanics. It is so vital to the understanding of the effect of various modalities on function, like the difference between a stability shoe and a motion control shoe for a patient. Whatever you put into someone's shoe, you should always make sure that it affects the gait in a positive manner. I remember my first biomechanics teacher, the famous Dr Harry Hlavac from Mill Valley, CA, inviting all the podiatry students to go out to the sidewalks and malls and just watch people walk. Some of the best advice I ever received. After watching literally thousands walk and run, I can see what is wrong better than laying the patient down and trying to measure something (at least initially). Gait Evaluation begins the process in my mind of connecting the dots between the pain the patient presents with and the way they walk or run. Remember that the 4 most common mechanical gait abnormalities that can produce symptoms are limb length differences, poor shock absorption, excessive pronation, and excessive supination. This is made more complicated by the fact that patients can have combinations of problems, and these combinations can be different on the right vs. left sides. For example, one patient may overly pronate on the right side, but overly supinate with poor shock absorption on the left side, and this combination means there is at least a functional short leg problem. The human body never gets boring. I try to tell students to see if the gait changes make sense with the injury, and begin treatment. Slowly change that treatment based on the response of the patient. The longer you are doing this the better you become, but there are still many patients who become the teacher as we attempt to eradicate the mechanical sources of their pain syndrome. The Sacral Base is at the base of the spine where the 5th Lumbar Vertebrae meets the sacrum. In the photo above, the sacrum rests below L5 and is slanted downward towards the right. 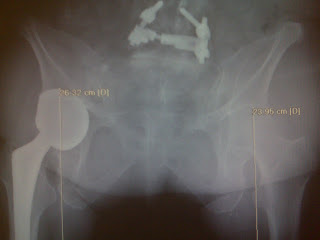 This xray is called a Standing AP Pelvic Xray. To measure the sacral base difference, you draw a line along the sacral base until that line hits the ilium on the right and left sides at an equal spot. Then you drop a line down from these spots to the bottom of the xray plate. The sacral base measurement, also called sacral base unleveling, is the difference in heights between the two sides with one side higher. Of course, the base of the spine should be level with the ground. When treating leg length difference, xrays are taken when the initial treatment is not successful, or in chronic pain syndromes when you want to be as exact as possible. Comparing the hip height difference with the sacral base unleveling may help in deciding how much leg length difference should be initially corrected. In many cases, I will take these standing xrays after I am satisfied with my overall orthotic and lift therapies to see how far off I still am. The xrays should be taken in this case with shoes, orthotics, and lifts on and the patient standing in normal stance with the knees straight. Foot strengthening has finally hit mainstream. 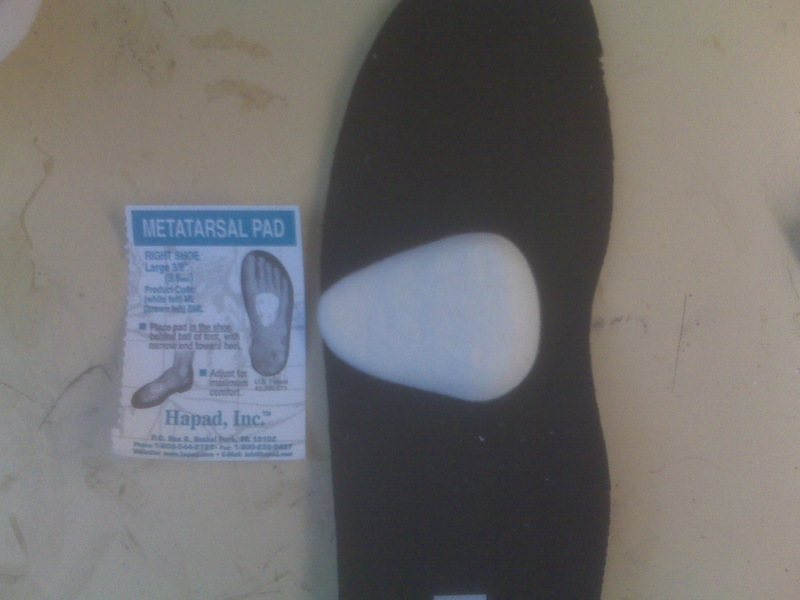 It has been ignored by podiatrists, personal trainors, physical therapists and orthopedists for years. The foot gradually weakens over the years of use. The foot gradually weakens with the use of shoes and orthotic devices. Injuries to the foot and ankle speed the weakening process. Surgeries to the foot add more insult to injury. Yet, finally, the process seems to be reversing. Shoes are being made to exercise your feet. Barefoot running is encouraged by some as a way to strengthen your feet. More and more exercises are being introduced to safely strengthen feet. One of our videos which I would encourage you to read is on balancing exercies, a great way of strengthening your feet. This video gets down to the most basic of all foot strengthening exercises called metatarsal arcing or doming. 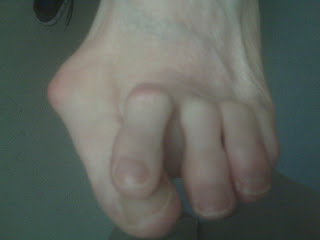 We have taught this fpr 30 years and should be a basic routine exercise for all interested in strengthening their feet. You can see from the standing AP Pelvic Xrays that left side is higher (side marked with the label upright). The patients are told to stand with feet in a normal position, knees straight, and back as straight as possible. Dare the xray to capture anything but perfect posture. From this one xray, you can see hip heights, pelvic heights/asymmetries, and sacral base unleveling (base of the spine). Here the right leg at the hip heights is shorter, the sacral base leans to the right, and the top of the pelvic is lower on the right. With this pattern, I feel confident to begin lift therapy on the right side. Since corrective orthotic devices are being used, and since one side pronates more than the other, I feel comfortable taking these xrays with shoes and orthotic devices in place. Tape measurements have so many built-in errors that they are not considered credible. Chiropractors have a totally different reference point (non weight bearing) and 95% of the time feel that the opposite side is short. So, if you use standing based measurements/xrays and feel that the right is short, chiropractors will feel that the left is short. There reference point is not the ground. You could try the Magazine test demonstrated in the video below. The above video demonstrates further the basic approach to many sports medicine injuries and pain syndromes: advancing the treatment gradually from simple to more complex treatments based on the needs of the patient. As the patient's symptoms are followed, more complex or more simple approaches may be warranted. It is up to the health care provider to understand and become familiar with treatments for the problems they work with from simple treatments to more complex treatments. You definitely must follow the basic principle of "Do No Harm", but in this high tech world, simple approaches to many problems can be the best. I find this area to be the least interesting to the new podiatry students and residents I teach. They want to learn the best treatments, equating simple with ineffective. I admit, there is no glamour in most of what I do, but the patients seem to overall get better. Perhaps I am just getting old, stuck in my old ways, but perhaps I am also wise. I know I am wise for creating an environment that lets my patients help decide their treatments in my team approach. Some of the simplest methods of treating injuries or conditions are just being invented and I love them, so I know I am adaptable at least. Medicine will be forever a humbling experience as health care providers stumble to find out what works for each individual patient. And as many of my patients already know, I can stumble my way through alot. The above video briefly discusses the simple to complex approach to treating shock absorption issues from stress fractures, heel bruises, knee and hip arthralgias, and low back pain. From the patient's standpoint, it is important to know if you are being treated simply or complex and what are the myriad of options available if one treatment plan does not work well enough. The title of this implies that we always go from simple to complex, but every way is possible in the art of medicine. It is okay to go from complex to simple. It is okay to go to simple to complex to slightly less complex to simple again as the experimentation continues to help patients. Test what works. Full length lifts are normally thinned or cut at the toes so that the toes do not get jammed. Full length lifts carry the lift effect desired all the way through each step (into the propulsive phase). Full length lifts can be cut (as demonstrated in the above video) so as to not block forward motion. When using heel lifts, make sure the effectiveness of the lift is monitored. Is it helping? Also, make sure you are evaluated for stability. Are you more or less stable with the lifts? This evaluation should be in all shoes that you wear the lift. I will end with a story of a runner with a short right leg and achilles tendinitis on the short side. The podiatrist he saw correctly identified the short leg and gave him a heel lift, a stretching program, and an anti-inflammatory routine. The runner felt slightly better, but would continue to irritate the achilles with running. When he came to me for a 2nd opinion I felt the program was perfect except for the heel lift. You see this runner ran the hills of Mt Tamalpais near San Francisco routinely and ran alot on the balls of his feet. In this instance, the heel lift was very ineffective since his heels rarely touched the ground, and I switched it to a full length lift which corrected him with every step. Soon afterwards his achilles pain went away and he has remained a happy camper. The 2 links below are for spenco and korex. I normally buy 1/8 inch and then gradually add layers. Blog Stats: 6,954 visits, 5,055 visitors, 21,650 page views, 37 followers, and now 100 Countries!! Kinesio Taping is a common help in providing simple, but effective, arch support and added foot stability. 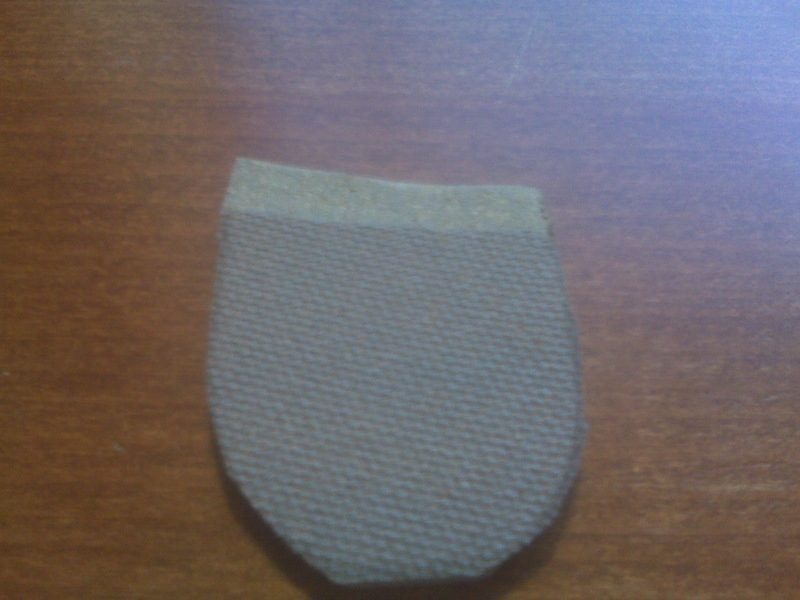 It can be left on for a few days, is water proof, and hypo allergenic. It can be used 24/7 or just for specific activities (like a tennis match). The short video below explains how it is applied. Limb Length Difference: When is it a Problem? It is not crucial that you understand all the terminology as long as you understand the basic concept. The doctor/therapist must experiment with simple to complex means of fixing problems, and the patient must understand is their treatment simple or complex and engage the practitioner as to their options. I'm not sure if you remember, but I emailed you a couple of weeks back about Vibram Five Fingers for my school newspaper. I am now writing about stress fractures and I thought you may know something about them. So I would love it if you could answer a few questions for me about them, or if you're really busy or something, if you could pass them along to a colleague, that would be wonderful. So I'll tell you the questions anyways, and I look forward to hearing back from you or a fellow orthopedic/podiatrist. 1. What exactly is stress fracture on the anatomical level? 2. What long-term effects does sustaining a stress fracture have on a person? 3. Is there a particular sport or activity that is a person most likely to sustain a stress fracture? 4. What can an athlete do to try and prevent this type of injury? What is the best thing for a player to do after incurring something like this? Elizabeth, a stress fracture is a tiny crack in a bone when the stress load it receives is higher the stress load it can withstand. A better term that means the same thing is a "fatigue fracture". The bone fatigues with stress and cracks when the stress is too much to bear. Stress fractures are very common and there are no long term sequellae from them. The body completely heals stress fractures, in fact they heal them better than they were originally, called "double healing". The bone around a stress fracture is probably 2 times stronger than before it broke due to the remodelling process of the bone for at least 5 to 10 years. Thus the saying "you can't break a bone in the same place twice". Quite accurate for a few years. Stress fractures are fatigue spots in bones, and every sport can produce them due to some over use pattern of activity. Judo experts intentionally stress their fifth metacarpal of the hand by repeatedly striking a hard object to build up the thickness of that bone. This is why they can break those bricks on TV. Ballet dancers en pointe are prone for 2nd metatarsal stress fractures since the weight with proper technique goes primarily into the 2nd metatarsal. The male dancers in ballet get shin (tibial) stress fractures with their overuse landing from jumps. Rowers on a crew team are prone for rib stress fractures due to the force of the chest muscles pulling on the ribs. If the bone is weaker than the muscles, the bone breaks. Cross Country runners get tibial stress fractures due to either the impact pounding or the pull of the powerful soleus muscle at push off. And the list goes on, and on, and on. Stress Fracture with Bony Remodeling in the Bone under the Ball of the Foot. Compare the 2 bones seen under the first metatarsal and tell which one is injured. If the athlete is on a team, smart coaches know alot about preventing stress fractures by avoiding overuse situations, and varying workouts. As an athlete, getting the recommended doses of 1500mg of calcium per day during months of strenuous workouts, getting some sun without block in the early morning or late afternoon, consuming 400 units of Vit D daily, training at at least a 50 % level during the off season for a sport to avoid the excessive loads at the beginning of a season, making sure that your workout shoes are well padded and fairly new, getting plenty of rest allows tissues to heal and when we exercise with tired muscles more stress goes to the bones, and never working through pain or extreme fatigue. If you develop a stress fracture, you have to respect that the bone needs time to heal. This is the world of cross training so that you do not decondition as much. Runners bike, bikers swim, etc. There are so many cross training avenues out there to keep your muscles in tone and your heart and lungs pumping. Try to analyze why this happened. If you have a coach, work with them to attempt full discovery. Play Sherlock Holmes. It is normally 2 to 4 factors which all pile up against you. Do you have a family history of osteoporosis? Is your diet low in Calcium or Vitamin D? Do you wear sun block at all times? Are your workout shoes fairly well padded or relatively new? Did you just increase your activity too abruptly with a poor off season program? Is there something in your walking or running style, or a short leg, that adds too much stress to an area? And there are many more factors. It is always a fun challenge. Here is a first for the blog with me actually doing something!! I am in my little lab at the Center For Sports Medicine at St. Francis Memorial Hospital making lifts for a patient with a short leg. What are you doing as anti-inflammatory (like icing or NSAIDS)? What mechanical changes are you making (like adding Sole inserts)? What changes in the activity are being employed (biking instead of running, etc)? What exercises are you doing for strength and flexibility of not only the injured area, but the surrounding areas? I was recently criticized by a wonderful patient for following the KISS principle and not doing a more elaborate workup. I apologize to that patient, but that is why we have follow up visits, email, voice mail, fax. The doctor and patient must be a team or it does not work. If the patient feels the problem is simple, and the doctor/therapist feel the problem is complex, or vice verse, the ball will be passed to the wrong area. Everyone must be on the same page, and communicate if something is not working. In that way, both the patient and health care provider can feel comfortable to follow rules like KISS (keep it simple stupid) because their teammates have their back. This short video shows the shift in body weight called "Limb Dominance" which helps the examiner discover a possible short leg. This Short Leg Syndrome is responsible for many injuries and pain syndromes and is present in approximately 80% of patients. Hip and Low Back Pain patients in particular should have the short leg corrected with a lift to see if it has a relationship to the pain. You may be pleasantly surprised!! A common problem after hip replacement surgery that I have to deal with is short leg syndrome. I am asked by the doctors involved, or the patients, to give a lift to the short leg. 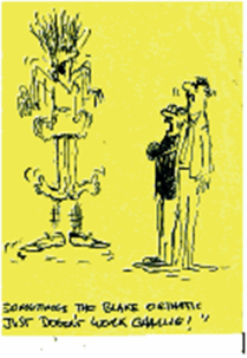 I will discuss the treatment of short legs in many posts, and there are several links below. I will use this patient I saw yesterday to drive home the point. Due to right hip pain, Shirley had a right hip replacement 4 years ago, and 6 years ago she had had a low back fusion at L4/L5. Following the right hip replacement, her back began to be painful again. Presently, she would describe her pain as level 8 on a scale of 0 to 10. She was sent by her pain management specialist, a physiatrist who felt she had one leg longer. After hip replacement surgery, it is tough to get accurate landmarks with palpation, so I routinely order a Standing AP Pelvic xray to get the hip joint heights, the slant of the base of the spine (sacral base unleveling), the lowering of multiple pelvic landmarks, and the lean of the spine to the right or left. In this case, the spine leans to the left, the sacral base drops to the left, and the left hip joint is approximately 7/8 inches shorter than the right. Lift therapy has just been initiated and we have a long haul in front of us after 4 years post surgery. Pain around the ball of the foot as the arch collapses: sesamoiditis, sesamoid fracture, first metatarsal phalangeal joint capsulits, bunions. Pain around the arch of the foot with this arch collapse: anterior tibial tendinitis, midfoot capsulitis, peroneus longus tendinitis, posterior tibial tendinitis, arch strain. Pain around the heel area with arch collapse and heel valgus: sinus tarsitis, plantar fasciitis, achilles tendinitis. Pain in the legs: posterior tibialis shin splints, soleus strain or shin splints, tibial stress fractures, anterior tibial shin splints. Pain around the knees: chrondromalacia patellae, lateral knee compartment compression syndrome, ilio tibial band tendintis. Pain around the hips: external hip rotator strain, piriformis syndrome, sciatica, ilio tibial tendinitis, hip bursitis, hamstring strain. When treating symptoms related to pronation, results can be seen from 10% correction of the pronation, or may need 110% correction of the pronation. Very different than treating excessive supination which normally needs 100% correction. Deciding on how much initial correction of this pronation can be difficult (and when to change corrections). I try to engage my patients in understanding the amount of correction they have. I like to give my corrections grades like the right is an A and the left is a B-. In the patient's mind, they know if they do not get better, that I can more to correct the pronation further. The video below shows excessive pronation right worse than left. If the symptoms require complete correction of that pronation, the right side will need more correction. These shoes with 200 miles of wear are already leaning to the outside, especially on the right, producing over supination. 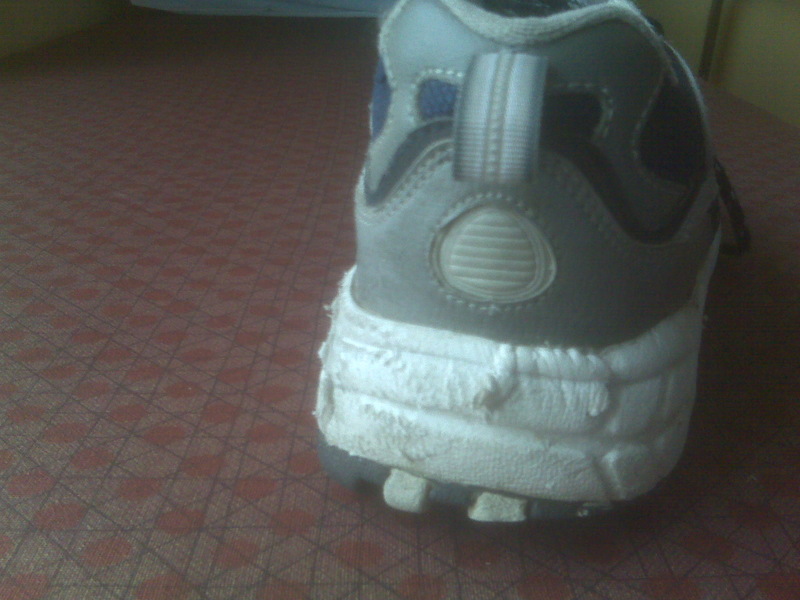 Here is where the running shoe industry has not helped. By rough estimate 10-15% of all patients naturally over supinate(also called under pronate). If you add the patients that over supinate after getting arch supports (over the counter or custom made), or are mistakenly placed in motion control shoes when they do not need to be, or let their shoes break down too far before getting a new pair, or are just wearing unstable shoes that allow their foot to roll laterally (like in an ankle sprain), the number can become 30% of the patients I see with symptoms related to overuse injuries. I will have a video later on in this post showing this excessive supination tendency with walking. Unlike Pronation, Treatment must eliminate 100% of contact phase (at heel strike) supination as seen in the following video. This is a common podiatry problem. When patients present with specific forefoot structural abnormalities, like bunions and hammertoes, the normal alignment is off, and symptoms are varied. Also these abnormalities can cause the foot to pronate or supinate excessively at times producing postural symptoms in the foot/ankle/leg/knee/and hip. When the first metatarsal is unstable, as a bunion increases, the inside (medial) edge of the foot becomes unstable, and the foot and the ankle over pronate. With a forefoot abnormality, like plantar flexed first ray, the weight is shifted to the outside of the foot and the foot and ankle over supinate. See previous posts on all of the symptoms related to over pronation or over supination. They are many. Consider getting a bone density test if you have a history (even family history) of osteopenia (weak bones), or osteoporosis (soft bones), developed a stress fracture and do not think your activity level warranted the injury, and have low Vit D levels (even low normal in an athlete). I recommend all athletes, due to the crisis of low levels of Vit D, get your Vit D 25 levels when you have your next blood work. All athletes, people exercising on a 4 plus day per week average, should be taking 1500 mg Calcium daily (either dietary or supplement). Consider any serving of dairy products or vegetables as 300 mg, and add a supplement to bring you to 1500 at the end of each day. Sugarless Tums is the drug of choice for some with 500 mg per pill, and there are multiple favors. 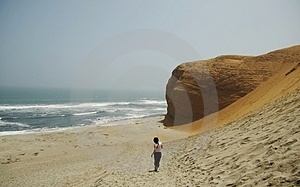 Of course, athletes with poor shock absorption issues, must reduce (not eliminate) their workouts on hard surfaces, avoid shoes with poor shock aborption, and consider avoiding down hills normal or fast with a passion, and running on soft surfaces (like the beach below), or 50% workouts on the treadmill for more shock absorption.